Everest panorama Trek, although relatively easy compared to some of other treks, takes you up high along trails to Tengboche Monastery (3850m). 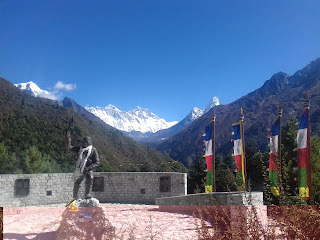 This is a short trek but very scenic trek offers really superb view of the world's highest peaks, including Everest, Lhotse, Thamserku, Ama Dablam and other many snowy peaks. Day 03: Exploring Namchebazar Everest View Point Hiking.